An international meeting point, easily to reach with all kind of transportation. 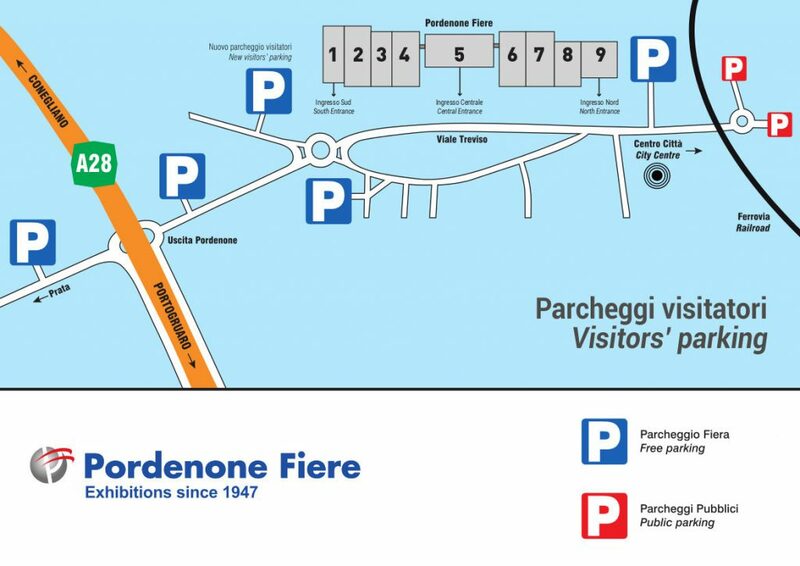 Pordenone Fiere is located about 200 meters from the PORDENONE exit of the A28 motorway (Portogruaro-Conegliano), connected to the A4 Venice-Trieste and the A27 (Venice-Belluno) motorways. Pordenone Fiere is located about 500 meters from the train station. Now there are direct connections with Venice and Trieste. Frecce, Intercity and Eurocity for the main Italian and European cities. It takes just 45 minutes on the motorway to get from the fair district to the International airports of Trieste, Venice and Treviso.